In this era of instantaneous gratification, where photographs are viewed fleetingly as a 640px square on a smartphone more often than they’re savored hanging on a wall, it’s easy to forget the significance of output. We’ve heard photographers say they don’t have any need to print, and that’s hogwash. It doesn’t matter if your clients don’t want physical delivery or if you think your monitor is high enough resolution to evaluate your work, there’s something informative to be gained by looking at a physical print of your photographs. You can go into any Target and get prints made, but they can’t compare to the results from the best photo printers and high-quality papers. 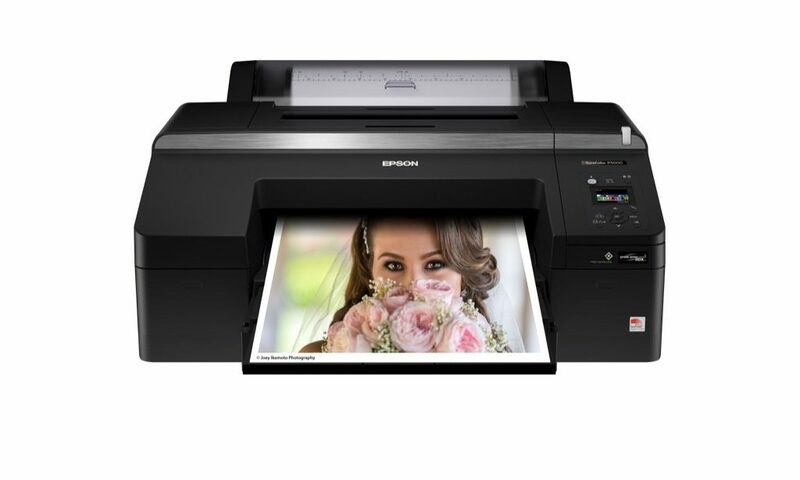 The Epson P600 is the perfect everyday printer for the photographer outputting images up to 13 inches wide and as long as 10 feet. Nine UltraChrome HD inks are packed in high-density cartridges (for less work-interrupted swapping) with an incredibly wide gamut for vibrant prints that are true to life. We particularly like that it not only supports Apple AirPrint and Google Cloud Print but also has direct WiFi printing from your desktop and networking with the built-in Ethernet port. An advanced Black and White mode creates neutral prints with great dynamic range. A larger P800 has the same features but accommodates a bigger paper size. Canon is so proud of their new PRO-1000 that they put the same red colored band around it that they put on their highest-quality lenses, and for a good reason. The image PROGRAF PRO-1000 has every feature we’ve seen in a photographic printer, and then some. For example, paper is fed into the unit via vacuum—to prevent marring the surface—and the distance of the print heads is adjustable for different types of media. The 12-channel inks increased the gamut by around 20% over Canon’s previous pro printers and multiple sensors adjust ink temperatures to keep lines from clogging. If a nozzle should clog, the printer automatically routes ink to another nozzle, preventing banding lines across the prints. We were able to see details in the shadows of prints from this unit that we simply could not see on a monitor, no matter how good it was. There were a ton of new papers this year, many of them centered around the use of barium sulfate as a coating on printer paper to increase the brightness of photographic paper without causing long-term fading. Epson and Canon continued to release eponymous papers, with Epson’s Legacy line now containing four different types of surfaces. Canon’s Pro lineup also expanded with the release of the new imagePROGRAF printers. The paper from each company is formulated to work best with each company’s printers, but neither Epson nor Canon has their own paper production lines, so they both outsource their paper. That means we’ve seen great results when experimenting with Epson papers in Canon printers and vice versa. We recommend both Epson and Canon’s branded papers to discerning photographers everywhere. Moab’s Juniper Baryta Rag is one of the papers that’s using barium sulfate to whiten the sheets. The paper is 100% cotton, and it was designed to replicate FB-type paper from the darkroom days. 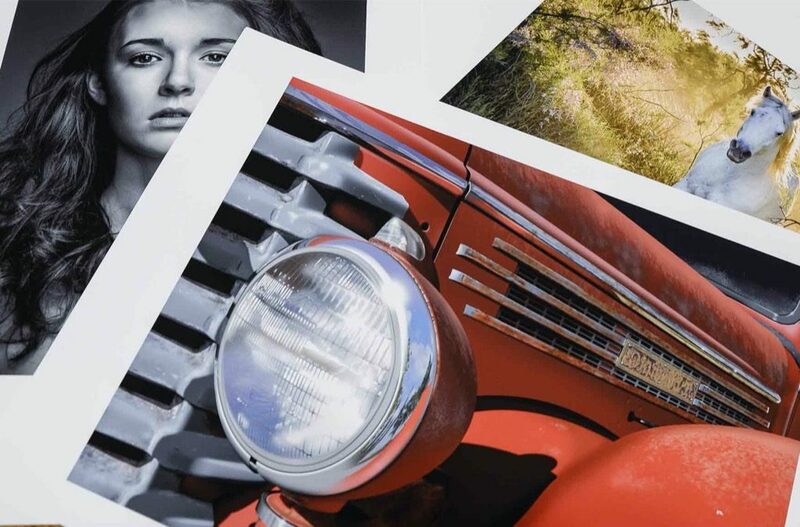 Hahnemühle’s Platinum Rag is another uncoated paper for the photographer, but it’s also been used by fine-art photographers successfully for palladium prints and other alternative printing methods. Bright white, despite no optical brighteners, the paper holds up very well to tonally rich black-and-white output. The Ultra Satin Pro from Red River is a coated paper that feels to us like some of our favorite Kodak or Ilford papers from the darkroom days. The surface has a slight texture that grabs ink for both neutral, yet detailed monochrome prints and bright, vibrant color output.